The initiative is aimed more towards conserving fresh water than saving money. 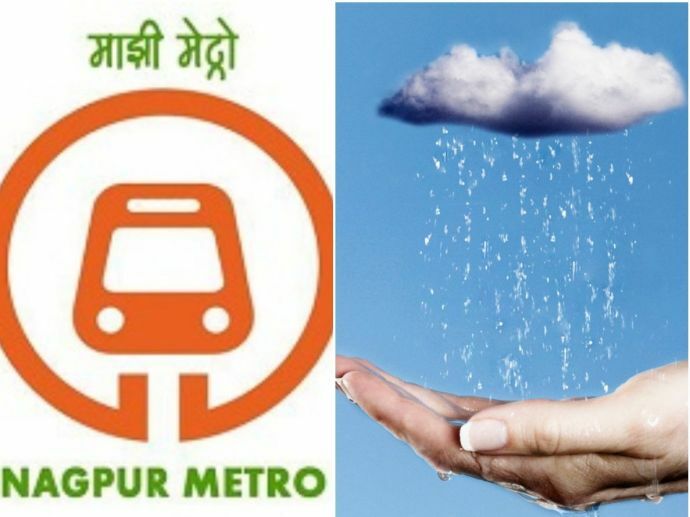 Working unwaveringly towards its goal of building the greenest Metro of the country, MahaMetro has now decided to take up rain water harvestation. The authorities at the metro company are planning to adopt the measure on a large scale basis to recharge the groundwater available in Nagpur. According to a MahaMetro official who remained anonymous, the viaducts will have grating (holes) in the centre so that the water does not accumulate in it. “There is slight slope towards the centre and water will flow into it. There is one grating for three segments. The grating is connected to a PVC pipe in the segment, which in turn is linked with a pipe in the Metro pillar,” he added. The Metro pillar pipes will have a hole in the end which will make the water spill over the road divider or median. This median will have pebbles and earth. “The pebbles will store water and gradually release it into the soil. However, during heavy rains water will flow out of the median onto the roads through holes in the median wall,” said the official. “In many places, we will dig ring wells in the median so that water percolates into the ground. However, this will not be done in places where hard rock is near the surface,” he added. The rainwater at the station will be gathered into a collection well where water will flow from the roof and accumulated in the ground level. It will be then be filtered, pumped and reused in station toilets. Water from biodigesters will be mixed with this water. “The stations will have double plumbing. One set of pipes will supply municipal water to basins and drinking water dispensers, while the other set will supply filtered water to toilets. This will save precious fresh water,” said the official. Metro will not go on to save much money from this initiative. The aim is to recharge the groundwater of the city and save fresh water, the official concluded.